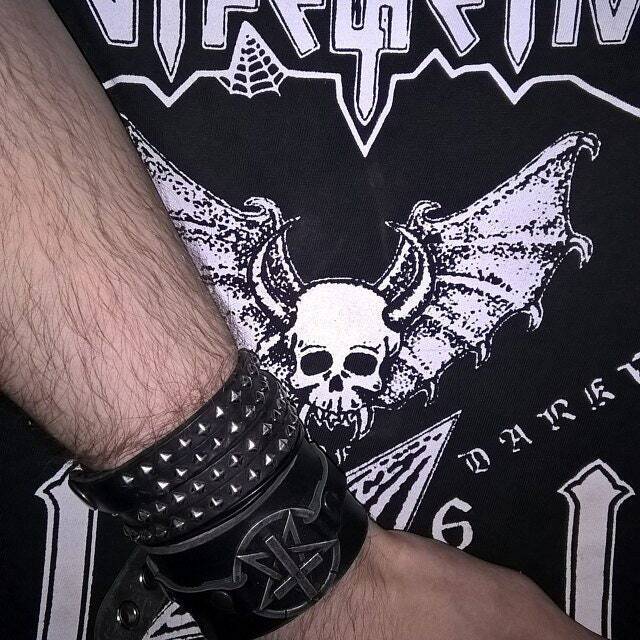 Black Leather Pentagram Inverted Cross Bracelet. 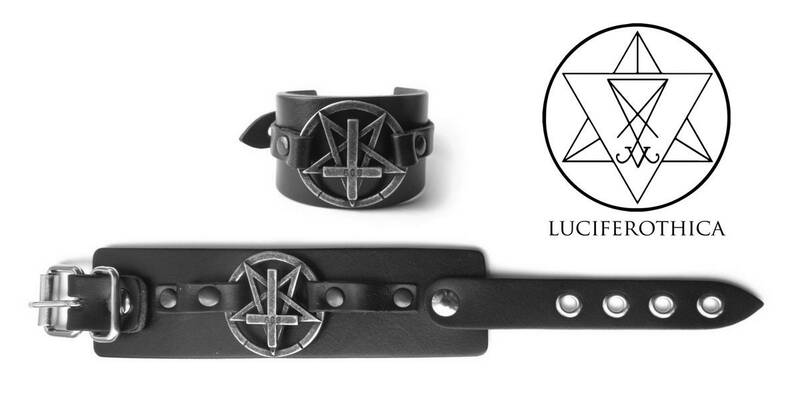 - Inverted Pentagram with number 666 engraved on top. 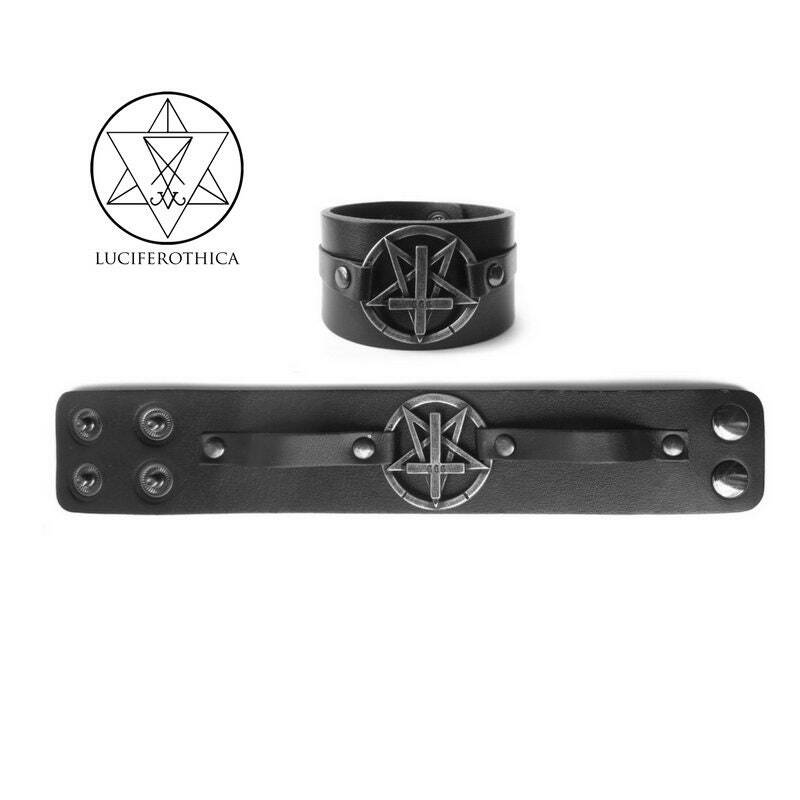 Awesome, outstanding bracelet, fast shippment and delivery. A must ! Strongly recommended.